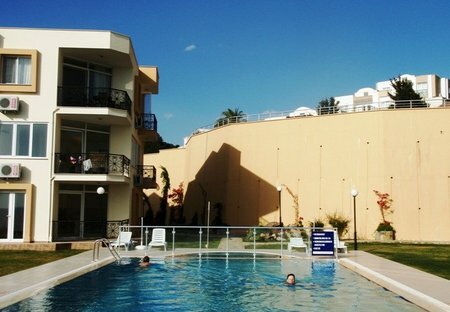 Rent villas and apartments in Milas, Turkey with swimming pools. Book affordable holiday rentals that are near a beach and golf course. Luxurious, spacious 1-bedroom penthouse with enormous terrace, jacuzzi and spectacular views available for holiday rentals at Horizon Sky Beach Resort, near Iasos. 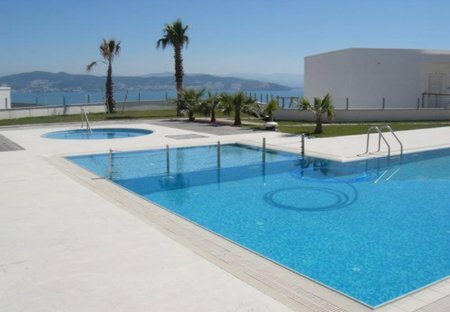 Beautiful 2 bed, 2 bath penthouse apartment in an exclusive development near the beach and Gulluk. Fabulous shared pool. Wonderful views. 15 mins from Bodrum airport. Early booking discounts. This 3 bedroom villa with swimming pool is located in is located in Milas and sleeps 7 people. It has WiFi, barbeque facilities and parking nearby. This 4 bedroom villa with swimming pool is located in is located in Milas and sleeps 9 people. It has a garden, barbeque facilities and parking nearby. This 2 bedroom villa with shared pool is located in is located in Milas and sleeps 5 people. It has WiFi, barbeque facilities and parking nearby. Spacious, tastefully furnished 2 bed apartment 15 mins from Airport with stunning sea views, in pretty Turkish fishing town. Large swimming pool and beach nearby. 30 mins from Bodrum.